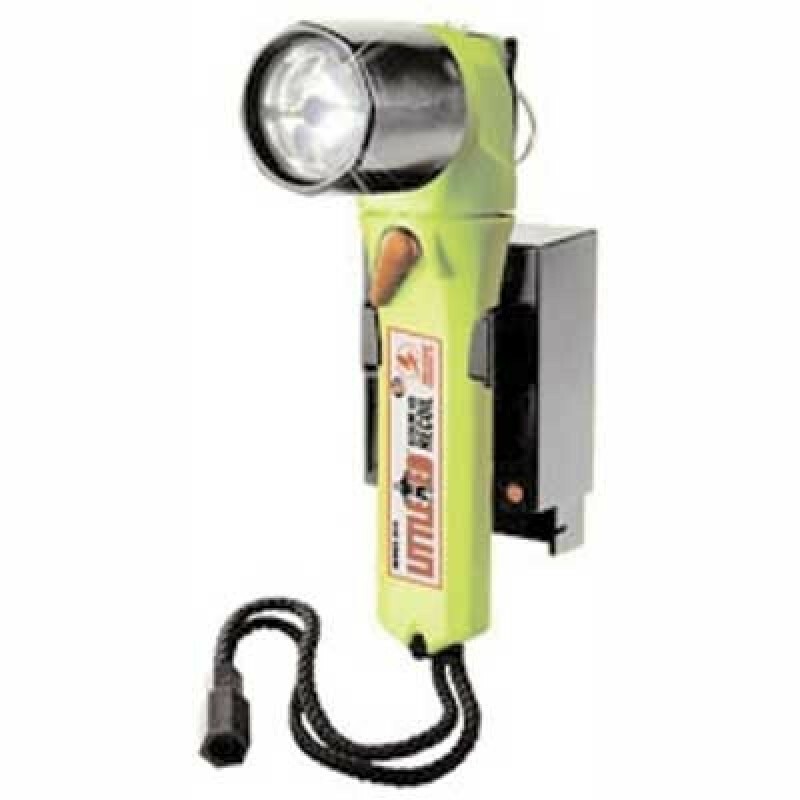 The Little ED 3660 Recoil LED Flashlight from Pelican Products is a rugged and light weight rechargeable right angle flashlight that produces 28 lumens of light. Recoil Technology produces a more effective light pattern than traditional LED lights by pointing the LED backwards into the reflector and then projecting it forward. The Little ED Flashlight comes with a drop-in Smart Charger base than can give a complete charge in 2-3 hours and will produce over 32 hours of burn time. The rechargeable flashlight has a rotary on/off switch that is easy to operate even when wearing thick gloves. A stainless steel clip and key ring comes standard for easy attachment to allow hands-free use. The Pelican Little ED 3660 rechargeable flashlight is FM and ATEX approved.